MONTPELIER, Vt. — Republican lawmakers are backing Gov. Phil Scott’s plan to save $30 million in additional tax burden brought on by the Tax Cuts and Jobs Act of 2017, saying the plan is necessary to keep the money from getting spent by Democrats and Progressives. 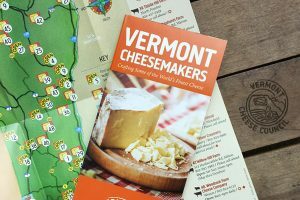 When it became apparent that changes to the federal tax law would negatively impact some Vermonters’ wallets, Gov. 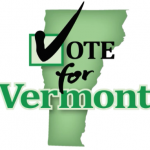 Phil Scott proposed a plan to modify Vermont’s tax laws to shield taxpayers from potential tax increases. Now Republicans in the Statehouse are giving their endorsement of plan. 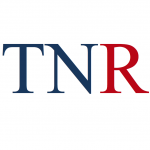 “What we’re saying is that working Vermonters deserve this,” House Minority Leader Don Turner, R-Milton, told True North late last week. One thing the federal tax act did was double the standard deduction, but it also eliminated many personal exemptions. Vermont’s tax code is one of six in the nation that is closely tied to the federal code, so the loss of those personal exemptions hits Vermont taxpayers, especially middle-income families with children. If the additional tax revenue were to be collected, the state government would end up with a $30 million surplus. In a year with major financial challenges, including an estimated $80 million education fund deficit, temptations could be high for lawmakers to keep the money. The two largest groups of Vermont tax filers are those in the $25,000 to $50,000 range, with 87,867 filers, and those in the $50,000 to $100,000 range, with 87,789 filers. The first group would pay an additional $1.62 million in taxes, and the second group would pay $7.87 million more. 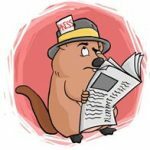 Vermonters making between $100,000 and $200,000 — 52,353 filers — would pay in an additional $16.5 million. According to an analysis released by the Congress’ Joint Committee on Taxation, on the national level, those making between $20,000 and $50,000 will receive $61 billion in tax cuts in 2019, or 23 percent of the total tax cut savings. These benefits are largely seen in the 44 states that, unlike Vermont, do not have their tax code tied to the federal system. Aside from the impact on Vermont individuals, at least 15 Vermont businesses are passing on savings from the tax cuts onto their workers. For example, after the federal corporate tax rate was lowered from 35 down to just 22 percent, 1,273 Walmart employees in Vermont can expect a base wage bump to $11 an hour and bonuses of up to up to $1,000. 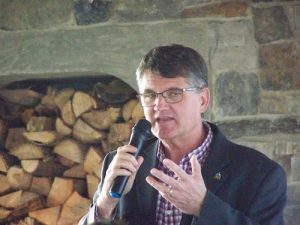 Turner said plans for modifying Vermont’s tax code include lowering the marginal tax rate, introducing more deductions and exemptions ($4,000 per household member), expanding the Vermont income earned tax credit ($6,000 to $12,000 depending on household status) and introducing charitable contribution credits. “That will sync the two together more in line with AGI [adjusted gross income] and allow these people to get the benefit that they were intended to get,” he said. Sen. David Soucy, R-Rutland, commented that the plan doesn’t play favorites among income classes. Rep. Patti McCoy, R-Poultney, called across party lines for support. Turner expressed that the word needs to get out to Vermonters that they are facing this tax hike. The modified Vermont Tax Code needs an amendment to include relief for Vermonters disproportionately penalized by the new federal tax laws; rural employees who work remotely are no longer eligible for the un-reimbursed employee deduction. This includes mileage, home office and supplies, and communication technology that keeps us connected. I can’t quantify the economic impact of the many Vermonters who “work from home” in sales and consultative services( among others) but it is my assertion that many of these folks do not understand that they have lost their exemption going forward under the federal tax law. and as we all know that’s Montpelier’s corner stone !!! ……….. Wake up Vermont . What the Feds give back to taxpayers, the crazies in Montpelier takeith. Money is their lifeblood and they don’t want any amputation instead grow more and more. The Dems and Progs were just going to sit there and let people be taxed an extra $30 million? The D and Ps were going to use that money for their centralized, socialistic, pet government programs? I am glad Scott has been alerted. May be the D and Ps will actually help to let people keep their hard-earned money. The switching of state income taxes to AGI (taking more from higher income households) is already costing me, and many others, an additional $3000 per year. I bet dollars for donuts that chicken will come home to roost in November. The buzzards (Democrats) are circling the carcass. In the photo, both of them look really worried. I hope Scott will win by a landslide in November. He has to become active to get out the vote. – Will increase the presence of frugal, local control Republicans in the legislature. – Get the wet blanket of centralized government control (mandates, taxes, fees and surcharges) off the private sector so it can breathe and grow again. – You CELEBRATING the switching of state income taxes to AGI (taking more from higher income households) is costing me and many others an additional $3000 per year. I bet dollars for donuts that chicken will come home to roost in November.